Closing arguments are set to begin in a California trial concerning all-metal hip implants manufactured by Johnson & Johnson subsidiary DePuy Orthopaedics, according to a story in the Los Angeles Times. The plaintiff claims he suffered metal poisoning and other health problems from DePuy’s ASR hip replacement device, which he had implanted in 2007. Johnson & Johnson recalled about 93,000 of the ASR devices in 2010, following reports that they were shedding toxic metal debris in patients’ bodies. Studies also found that nearly half of them broke down and needed replacement after six years. 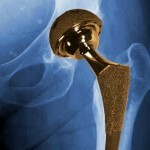 The industry standard for artificial hip implants is a minimum of 15 years. The Los Angeles Times describes the trial as a “high stakes” moment for Johnson & Johnson. It’s the first of 10,000 similar lawsuits to go to trial, and could have an impact on future cases. The ASR implants are a “metal-on-metal” design, meaning both the ball and the socket are coated in a combination of cobalt and chromium. They were initially promoted as being more durable than plastic or ceramic models, though plaintiffs now claim the design is inherently flawed. Plaintiffs also claim the company was aware of problems with the devices for years before the recall, yet continued to aggressively market them anyway. A week before the start of closing arguments, Johnson & Johnson disclosed that the federal government is investigating the marketing of the hip replacements.